The decision to localize a video game for a particular market is often the most difficult. Many factors are taken into account, such as the ROI (Return on Investment), translation oaccuracy, and expected audience reception. As a result, many games have barely made it into particular markets, while others have remained in their origin country for years, never seeing international releases. In Part 4 of my ongoing Basics of Localization series, we’ll take a look at some of the most popular examples of titles that were or weren’t localized in North America. After the success of Super Mario Bros. on the NES, there were plans of bringing the direct sequel over to North America. However, the sequel was deemed too difficult for players and too similar to the original. Eventually, the decision was made to keep the original Super Mario Bros. 2 in Japan; Yume Kōjō: Doki Doki Panic, a Japan-only platforming game, was localized in North America as what is now known as Super Mario Bros. 2. One of the biggest localization changes made was to the playable characters of Yume Kōjō: Doki Doki Panic; they were replaced by the well-known Mario, Luigi, Princess Peach, and Toad. Some items were also changed, such as Magic Lamps becoming Magic Potions, and heads that resembled blackface becoming Shells, the latter most likely due to its historical and racial connotations in the United States. The Japanese version of Super Mario Bros. 2 was eventually released in North America as Super Mario Bros.: The Lost Levels as part of a compilation game, Super Mario All-Stars, on the SNES; the North American version of Super Mario Bros. 2 was released in Japan as Super Mario USA. When the original Final Fantasy on the NES became a commercial and critical success, Square (now Square Enix) began work on the localization of Final Fantasy II. However, the game suffered long periods of development; by the time the SNES was released, it was abandoned in favor of the recently-released Final Fantasy IV. As a result, Final Fantasy IV was released as Final Fantasy II in North America to avoid the number confusion. The original Final Fantasy III and Final Fantasy V never saw a North American release until years later, the latter due to its localization difficulty and, according to then-Square translator Ted Woolsey, its lack of accessibility to new gamers. In their place, Final Fantasy VI was released as Final Fantasy III. Both Final Fantasy games received heavy censorship, such as renamed magic spells to avoid religious allusions, altered character sprites, and lighter, softer references to death and violence. 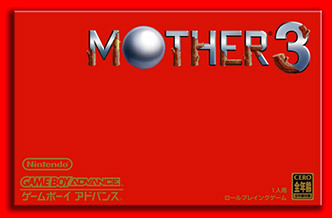 MOTHER 3, released in 2006 for the Game Boy Advance, has not seen an official release outside of Japan. Fans have repeatedly called for a translation and localization; several people, including translator Clyde Mandelin, wrote an unofficial translation that was released in 2008. This version, issued as a patch on Starmen.net, was downloaded over 100,000 times, with some sources citing it as one of the best fan translations. Fans have offered several theories as to why Nintendo of America has not localized MOTHER 3, such as the need for major censorship with some of its heavier themes, concerns over sales and revenue, and possible legal and copyright issues. Animal Crossing was originally released in Japan as Dōbutsu no Mori for the Nintendo 64 and Dōbutsu no Mori+ for the GameCube. The game was considered to be a big leap of faith for Nintendo of America; not only were there thousands of lines of text to be translated for the different character personality types, but many holidays, items, and events had to be rewritten for North American audiences. (I touch on this point more in Part 1 of my Basics of Localization series.) Animal Crossing ended up becoming one of the best-selling games for the GameCube in North America and received releases in Australia and Europe. Additionally, as a result of the North American localization, Japan added Nintendo of America’s localization content back into the Japanese game, along with additional content; this version was re-released as Dōbutsu no Mori e+ for the GameCube. It can be dangerous to assume why a company may not localize a video game at all. Besides the enormous amount of work that goes into localization, companies are businesses first and foremost. A failed investment on a game can have irreparable damage, the most extreme being a company filing for bankruptcy. On the flip side, taking a chance on localizing an unknown game in a different market can lead a company to immense success. Localization is no easy task, and must be taken with extreme care in different markets—right from the start.